Board of Trustees (FY2017-18) – Jaime V. Ongpin Foundation, Inc.
President REINALDO A. BAUTISTA, JR. 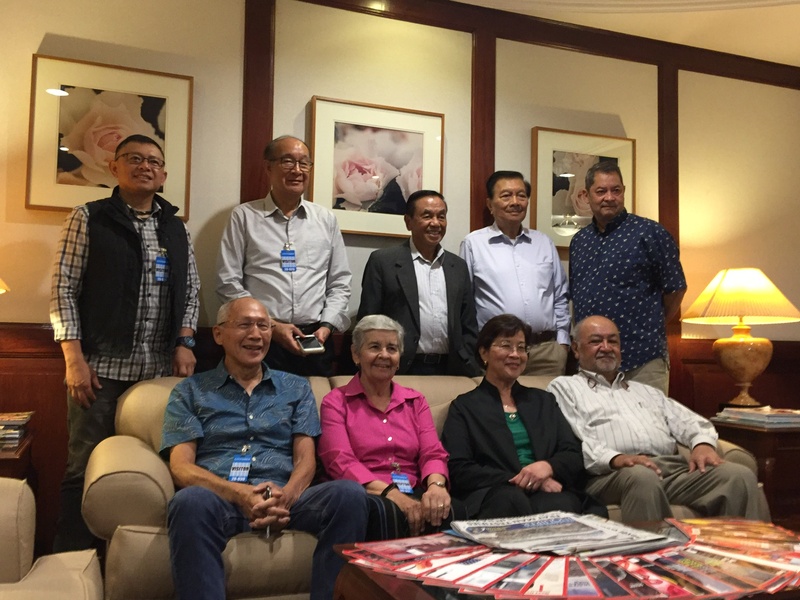 Seated (left to right): Ernest C. Leung, Treasurer; Ma. Isabel G. Ongpin, Trustee; Corazon S. de la Paz-Bernardo, Vice-Chair; Ray Dean D. Salvosa, Chairperson. Standing: Reinaldo A. Bautista, Jr., President; Trustees: Artemio F. Disini, Rufino B. Bomasang, Jose Ernesto C. Villaluna, Jr, Daniel Z. Urquico.